Here you will find information, files, and resources that we hope will make your task of being a District Adviser for NC FCCLA a little bit easier! Thank you for the effort and time you put in helping our organization. We could not help these young leaders of North Carolina inspire to be more in their community and schools without your guidance. ﻿﻿The following PowerPoint files are to be used to train students at each District Meeting. 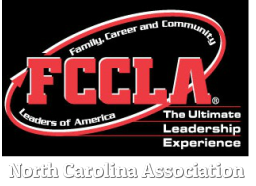 Each year the State Officers prepare a presentation for their peers related to one of the National Programs of FCCLA. These are presented at each District Meeting by young leaders from various chapters of that district. Below are the presentation descriptions for this year. The sign-up form is located further below under Forms & Information for District Advisers and titled: Fall District Sign Up Form. Please Hover your Mouse over and Click on Download File to download the PowerPoint and files for the workshop you need.